At this evening seminar, we are delighted to welcome Nassim Taleb who will be discussing the impact of the highly improbable. In this seminar he presents the role of the rare events across history, the arts, technology, and business and economic life. He discusses the psychological processes and biases that causes us to misunderstand them: retrospective distortion, silent evidence, narrative fallacy, as well as the scientific errors leading to the underestimation of the role of these events. Nassim Nicholas Taleb is an essayist, applied statistician, and veteran “quant”/ trader focusing on the multidisciplinary aspects of high-impact rare events (“Black Swans”). 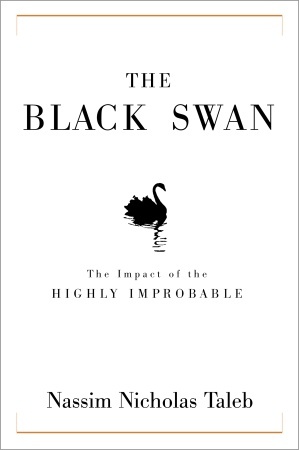 Taleb is the author of the NYT Bestseller The Black Swan: The Impact of the Highly Improbable, New York: Random House and London: Penguin (2007), as well as Fooled By Randomness (2005, 2001) and Dynamic Hedging: Managing Vanilla and Exotic Options, J. Wiley (1997). NOTE: This talk is “sold out”, but we can accept 20 more people on the list because of a predictable percentage of no-shows. People on the waiting list will be emailed if there is still room. to opt in. You can easily unsubscribe anytime. Pass this message on to those interested in joining the mailing list. A new seminar series in London, first talk by Nassim Taleb was written on September 18, 2007 and filed in Programs.